You love it when an earthly king writes you a letter, and you read it with great love and joy. How much more must we read the letter of the Heavenly King with love and joy. 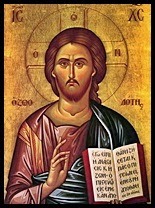 The word of God was not given to you so that it should lay written only on paper, but so that we may use it spiritually, that we may be enlightened and guided in the true way and salvation, that our morals may be corrected, and that we may live according to its rule in this world, and that we may please God. If you wish, therefore, to be a true Christian, then without fail you must take care to live by its rule. For the word of God is a heavenly seed. It must, then, yield fruit in us after its kind, that is a holy and heavenly life, otherwise it will accuse us on the day of the fearful Judgment of Christ. Live, therefore, as the word of God teaches, and then correct yourself. Do not pry idly into mysteries. Of the mystery of the All-Holy Trinity, the Most-Holy Eucharist, and other such things that are not revealed to us in the holy word of God, do not inquire idly, lest you fall into the snare of the devil and be tangled in it, and not be able to escape from thence, and so perish. For that which requires faith alone transcends our reasoning, and it is very dangerous to pry into these things. Keep yourself, then, from prying into things which are above you. Believe in all things as the Holy Scriptures teach, and as the Holy Church believes and established in accordance with it.